2013 Hyundai HND-9 Concept made ​​its debut at the 2013 Seoul Motor Show. This is the latest luxury sport sedan that illustrates the future design direction of Hyundai Motor. Suk-Geun Oh, head of Hyundai Design Center, said that, "The 2013 Hyundai HND-9 Concept will give customers a glimpse of the luxury sports coupe model Hyundai future. Representing an evolution of Hyundai's 'Fluidic Sculpture' design philosophy, the rear-wheel drive sports coupe concept balances high performance with a sophisticated image. " Hyundai HND-9 Concept is built with an elegant modern style. This classic sport coupe featuring sophisticated details in every design element reinforces the car a premium look. Body dimensions of a compact car, too. overall length of 4,695 mm, width 1,890 mm ​​and 1,340 mm high with a wheelbase of 2,860 mm. Character line runs from the headlamp to the trunk to provide a sporty character. radiator grille hexagonal high-performance wide-improving image. 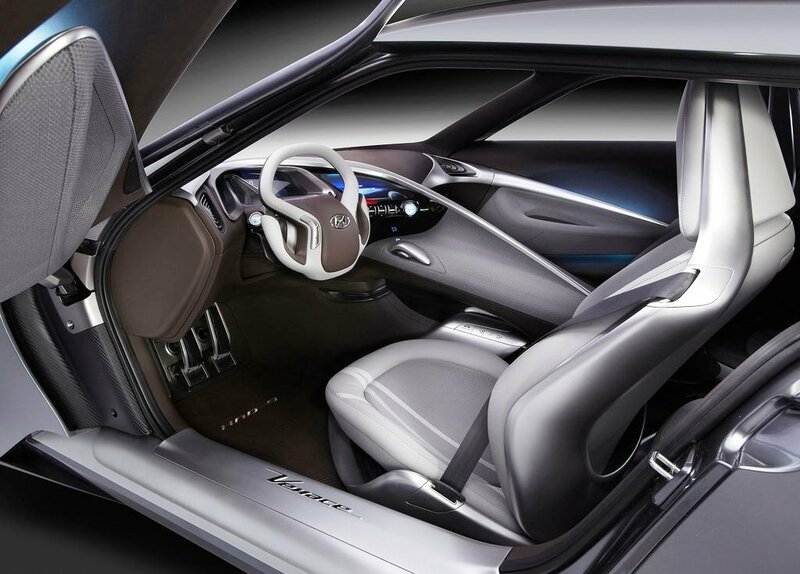 The interior is built on the Fluidic Sculpture Hyundai design philosophy. Dynamic spiral metal lines and distinctive whole interior framing. Chairs made ​​of mesh sporty and luxurious. A number of advanced features provided in the car to improve driver and passenger comfort. Under the hood Hyundai HND-9 Concept is a 3.3-liter turbo engine GDi and 8-speed automatic transmission. This engine provides a maximum output of 370ps. Hyundai HND-9 Concept has released in 2013 Seoul Motor Show. There has been no official price given to this car.